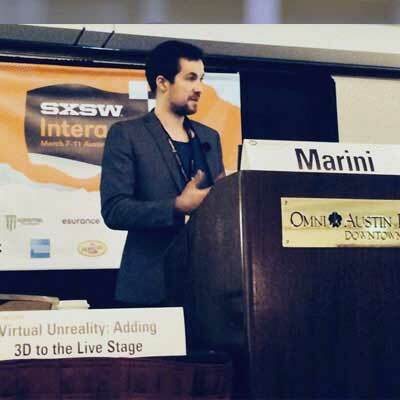 h Benoit Marini: Let's make memorable 3D experiences! With 15 years of experience in 3D interactive technologies and virtual reality markets, I am described by my peers as passionate and dedicated, driven by the desire to innovate and achieve imaginative and highly technical projects. Creativity mixed with a solid background of engineer lead me to a deep understanding of new technologies and how they can be combined and twisted to deserve new goals and trigger emotions. I have spent the last decade as Innovation Lab Director for Dassault Systèmes, working on several ambitious projects that are described in the work section above. Now working as an independant consultant, I am constantly looking to create new experiences, invent new usages or prototype ideas, give me a call to discuss your project! 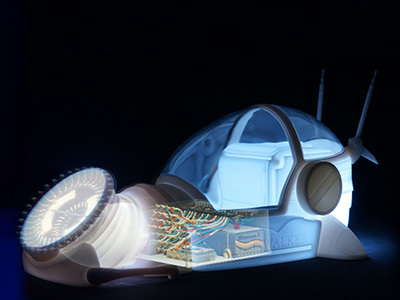 VR / AR / MR - projection, CAVE, headsets, high-tech. Passionate about 3D, VR and AR with a deep understanding of sciences & technologies, markets and ecosystems. Ability to deliver creative solutions, analyze and understand a technical situation, anticipate and solve potential problems. Strong background in managing a complex production process: prototyping, producing and releasing interactive installations and applications under tight deadlines and within budget. A busy mind, driven by curiosity and passion: music, mathematics, etc. Self-taught digital artist, mixing music and visual effects programing. I am proud to be an active member of the ScanPyramids mission as 3D technologies expert, scientific consultant for the HIP Institute, author of the real-time muography simulator (RTMS) used during the mission and co-author of a Nature scientific publication about the Big Void discovery. 2017-11-02 news : ScanPyramids is proud to announce the discovery of a big void inside the great pyramid. ScanPyramids mission was launched 2 years ago under the authority of the Egyptian Ministry of Antiquities and is led by Faculty of Engineering, Cairo University, and HIP Institute, Paris. 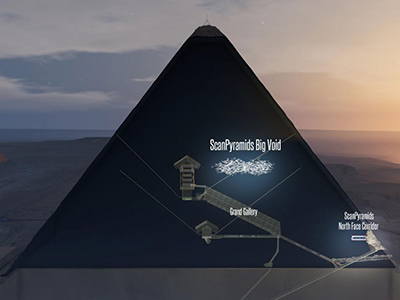 This project aims at scanning some of the Egyptian Pyramids with non-invasive and non-destructive scanning techniques: Infrared thermography, muon tomography and 3D reconstruction techniques. 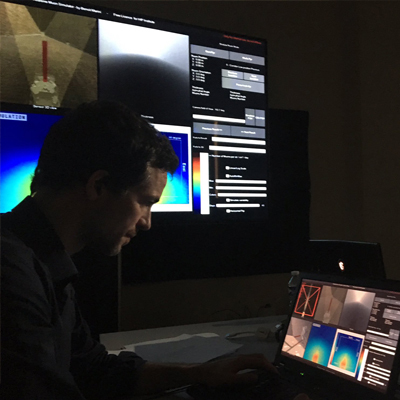 Several international scientific institutions are part of the mission, which goal is to detect the presence of any unknown internal structures and cavities in ancient monuments: Nagoya University (Japan), KEK (Japan) and CEA (France) for muon techniques and Laval University (Canada) for infrared thermography. I have also designed and developed the first Real-Time Muography Simulator (RTMS) made with Unity, using a different approach than the standard Monte Carlo simulations. Standard methods request long hours of computing with powerful devices whereas this simulator runs in real-time on a classic laptop ( million times faster ). A selection of projects that I have worked on, as Innovation Lab Director for Dassault Systèmes. 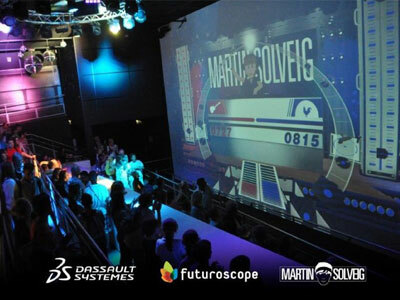 The “Martin Solveig Musical game” is a collective and interactive experience that can be experienced since summer 2013 at the Futuroscope attraction park as a preamble of the “Dance with the Robots” by Martin Solveig. This unique pre-show transform a waiting room in a collective game space. Guided by Martin Solveig avatar, each person of the public chooses to be part of one of the 2 teams. Each team competes in a musical game by clapping in their hand in rhythm, following indications appearing on screen. The more precise and coordinate team win the right to listen to its favorite playlist. 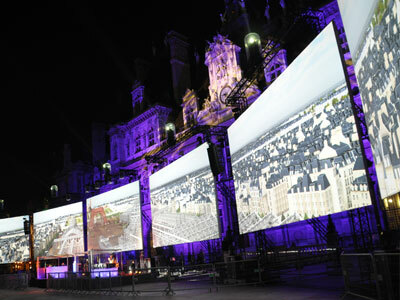 “Paris 3D Saga” is an educative and entertaining journey in the history of Paris beginning 20 centuries ago. In the tour you can relive historical moments like the French revolution and the construction of the Eiffel tower. •	as well as an iPad app. Mr & Mrs Dream is an innovative co-produced spectacle at the crossroads of dance, acting and virtual reality, allowing prestigious dancers Marie-Claude Pietragalla and Julien Derouault to evolve inside a moving and reacting environment. I was directing the project, in charge of the conception and the realization of the “Magic Box”: an immersive large-scale projection space, surrounding the dancers and displaying 3D content. Even though the projection system for a virtual reality cave used by the industry was mastered for a long time, setting up a similar setup that could be used for live performances in theaters was a challenge in itself. One main challenge was the size: dancers needed to be surrounded by the virtual environment while having enough space to perform. Moreover, the projection system had to be mobile: ready to fold, be shipped and unfolded, in order to follow the artists during their tour. These interactive scenes helped with the creative process, as real-time changes enabled to quickly converge on graphics and effects decisions. 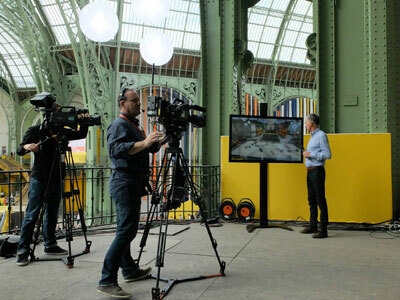 Partnership with Eurosport and Hermès, to apply 3D technology to equestrian sport to give TV viewers remarkable new insights into showjumping and how it works. This application uses the power of real-time interactive technology and 3D visualization to explain the many subtleties of horse jumping to viewers. As well as providing new insight for specialists in the world of equestrian sport, the experience is also designed to broaden the sport's appeal and audience by making it easier to understand. Objects in expositions and museum are often disposed inside display cases and thus cannot be manipulated or seen in action. I have designed a new kind of interactive kiosk which enables the mix of real and virtual objects, allowing users to manipulate them and have explanations. In Partnership with Enki Bilal and the museum of Arts & Métiers in Paris, we decided to use this kiosk to give life to an object, extract from a comic book of the author: the script Walker. The Script-Walker, which looks like a huge insect, is a typewriter that also mysteriously sends messages to the past. The kiosk was part of an exhibition called “Mécanhumanimal” at the Parisian Arts & Métiers Museum (June 2013- January 2014). Casterman partnered with Dassault Systèmes to transform the comic book into a 3D augmented reality experience. A fan of vintage pieces of machinery, Schuiten fell for an old engine called La Douce. Wishing to showcase this heritage, he asked Dassault Systèmes to make this engine come out of his next book. Under my supervision, the team worked on an augmented reality application that gave the impression of a train emerging from the comic book when the cover is placed in front of a webcam. For the 70th Anniversary of DDay commemoration in Normandy, gathering more than 3000 journalists and 25 head of state and government officials, I was charged to set up a complete 180m² immersive Reality Center within one month in an unusual environment: the windy beach of Ouistreham. Attendees and journalists were immersed in a 4 faces cave, traveling in the real-time 3D reconstruction of the 70 year ago Mulberry B harbor. In charge of the conception, realization and supervision of the technical and production teams. 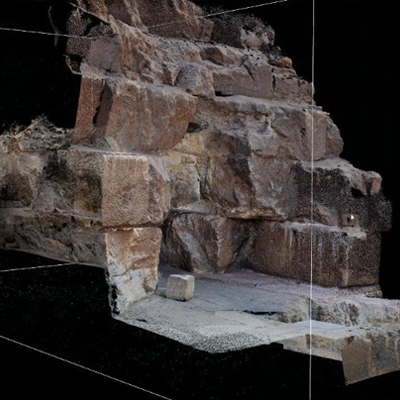 The DDay project goal, by making several Virtual 3D reconstructions, was to preserve this valuable part of our engineering heritage, which is gradually being lost, as well as giving historians and engineers a set of powerful tools to support their research work. It is also about building bridges between the engineers of yesterday and today by preserving the memory of their remarkable technological innovations. 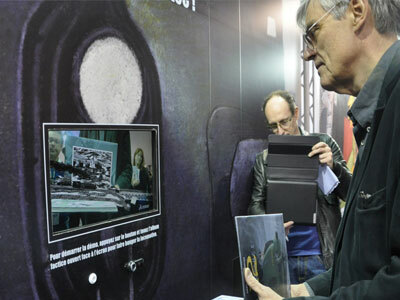 •	Uninterrupted flow of visitors: journalists, politics, military men’s. 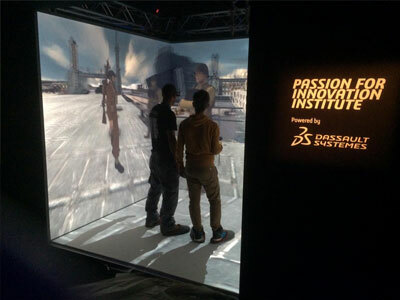 All were impressed by the immersive space and the content achieved by the passion for Innovation institute. Cereal box are not only packaging, they can be part of the experience. With Nestle we setup several online augmented reality and virtual reality experiences that transform your relation with the packaging. 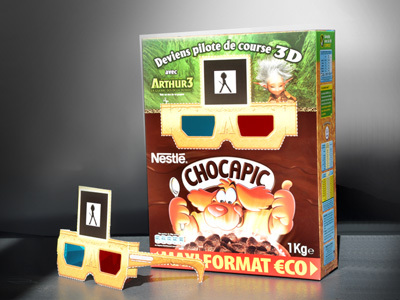 Nestle and Europacorp partnership (2009), turning a cereal box into a motion controler. In this augmented reality experience you help a character from 'Arthur and the revenge of the Minimoys' to escape a cereal box. Nestle and Dreamworks partnership (2011), Kung fu Panda 2 augmented reality experience. © 2016 Benoit Marini. All rights reserved.